White blood cells or leukocytes are immune cells, which help protect against infections and foreign bodies. They appear in the blood and lymphatic system: the lymph, lymph nodes, liver, spleen and thymus. In the blood, they represent one of the three main blood cell types; the other two being red blood cells (erythrocytes) and platelets (thrombocytes). Leukocyte word origin: from the Greek leukos = white and cyte, which refers to the cell. 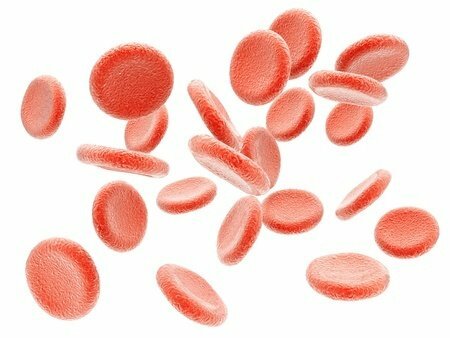 White blood cells develop from the blood stem cells, which are produced in the bone marrow. White blood cells produce antibodies, cytotoxins and enzymes, which destroy microbes, cancer cells, cellular debris and foreign bodies and thus help to keep the body clean . 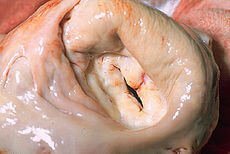 The end result of leukocytes’ action is often the formation of pus — oozing from a wound, coughed up as mucus, leaked into the urine or collected in the body tissues as an abscess. Pus contains mainly leukocytes, microbes and dead body cells. Chart 1 references: Emedicine . Neutrophils, basophils and eosinophils are collectively known as granulocytes. Lymphocytes and monocytes are collectively known as mononuclear cells. Neutrophils fight against infections by ingesting microbes, mainly bacteria and fungi . High neutrophil count (neutrophilia) occurs in most acute bacterial infections . Low neutrophil count (neutropenia) can occur in typhoid fever, staph infections and tuberculosis . Eosinophils fight against large parasites, like intestinal worms. During allergic reactions, they secrete IgE antibodies, which attack allergens. High eosinophil count (eosinophilia) occurs in infestations with intestinal worms, in allergic reactions, asthma, hypereosinophylic syndrome and connective tissue diseases (SLE) and Hodgkin lymphoma . During allergic reactions, basophils secrete histamine, which dilates the blood vessels. High basophil count (basophilia) occurs in chronic myelogenous leukemia . B cells recognize viruses and then transform into plasma cells, which release antibodies against viruses. T cells and natural killer (NK) fight against cells infected by viruses and cancer cells by releasing toxins. High lypmhocite count (lymphocytosis) occurs in certain types of leukemia, in viral infections, such as infectious mononucleosis, citomegalovirus (CMV) infection and hepatitis, and in whooping cough (pertussis) . Monocytes move from the blood to the body tissues–mainly to the liver, lymph nodes and lungs–where they become macrophages, which ingest cell debris. High monocyte count (monocytosis) occurs in infectious mononucleosis and in chronic infections, such as tuberculosis, bacterial endocarditis, brucellosis and syphilis, in malaria and in certain cancers [2,3]. High WBC is called leukocytosis. WBC is considered high when it exceeds 11 x 109/L or >11,000/µL . There are 4 main reasons for high WBC: infections, inflammation, adverse reactions to drugs and allergic reactions. Leukopenia means low WBC, that is <4 x 109/liter or <4,000/µL. Lack of leukocytes in the body, such as in HIV/AIDS or during chemotherapy, increases the risk of infections.